Besty received her massage therapy training from Boulder College of Massage Therapy in Colorado. There she studied a wide range of modalities including Swedish, Normalization of Soft Tissue, Myofascial Release, Shiatsu, Special Populations, Sports and Integrative. She is also trained in cranio-sacral therapy. Betsy works holistically in her bodywork sessions believing that mind, body and spirit are interconnected. 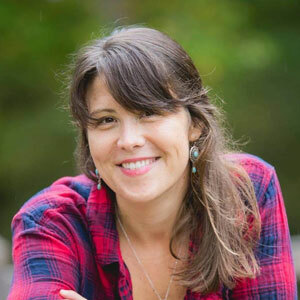 She specializes in integrative work, which combines various massage modalities, mindfulness and energy work to create a customized session for what the client may need on a physical, emotional or spiritual level. Betsy has a long standing relationship with Martha's Vineyard and has spent her summer seasons here since birth. While she calls the island home, Betsy's practice has taken her to work and study in various locations around the country and world including Boulder Colorado, Portland Maine, Bruny Island, Tasmania, Western Australia and New Zealand.